These 2 shots were taken from the same location, to an opposing shoreline of Lake Ontario. These were from a tripod, and the second shot demonstrates the reach of the TC-20E III on a 300mm/f.28 lens. The circled area indicates the subject of the next shot. 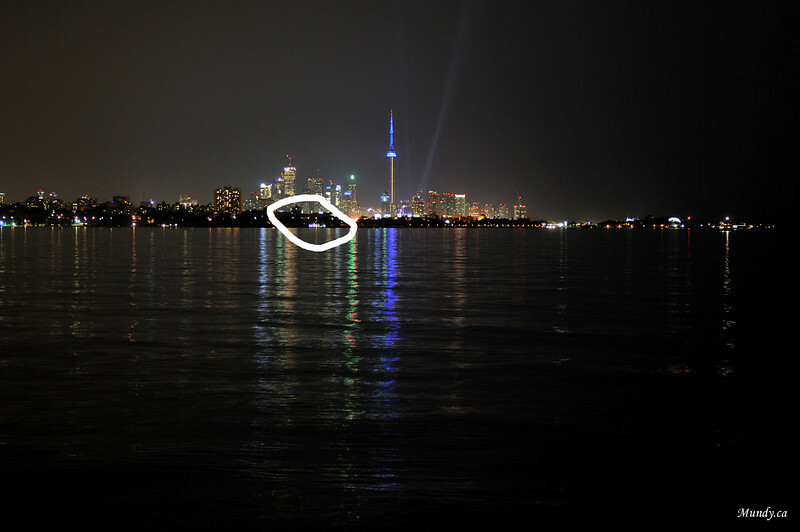 You can see the white lights on the shore in the circle ... this is the area I focused on with the 600mm in the following shot.